Unfortunately a lot of my earlier modelling work is saved on one of the Macs in CarlJr, so I shall retrieve those later. 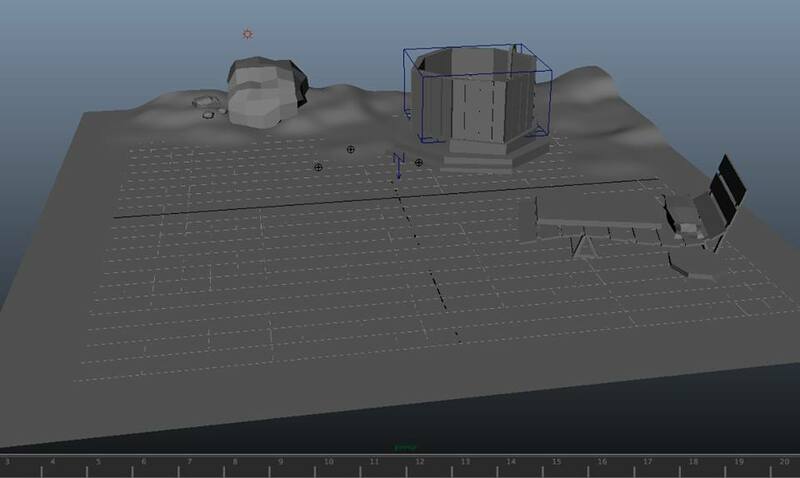 For now I have screenshots of some of my more ambitious modelling on Maya work. 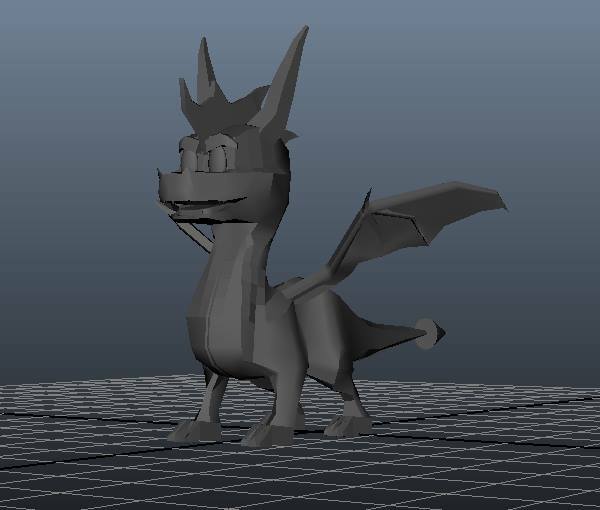 I attempted to model Spyro the Dragon from memory. 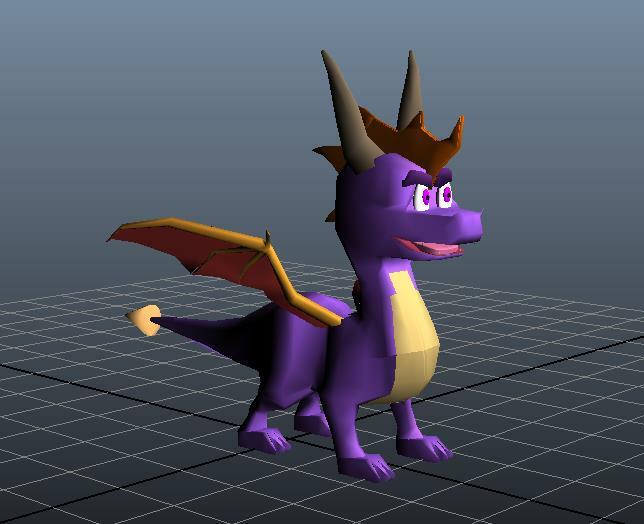 Though I am pleased with the outcome he does kind of fall into the uncanny valley and is rather frightening to look at. Oh well, everyone has to start somewhere. 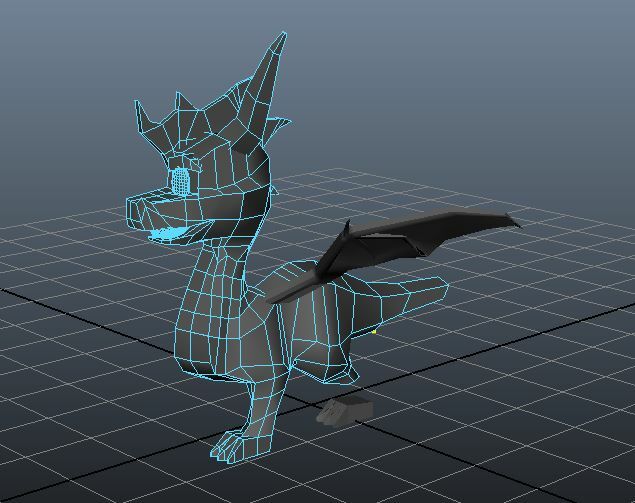 Some day I will master modelling dragons! We decided to make multiple rooms for our house modelling project. Myself an Oisin Cash decided to work on an unkempt garden with scraggly grass and a dead tree. That is a hot tub in the top right corner. I tried to add water to it but, quite clearly, I haven’t gotten the hang of that just yet. 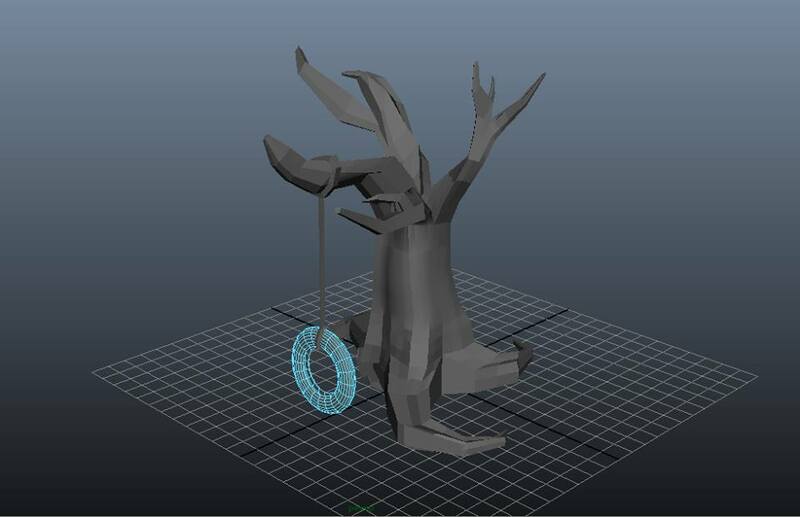 I do like the dead tree with the tireswing though I didn’t add any textures to it at the time. 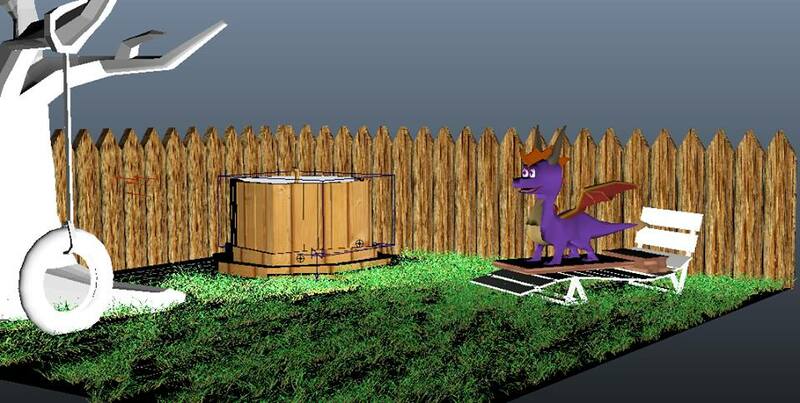 Spyro is sitting on the lawn chair because he wants to. I did work on a much nice looking lawn with gradient changes on the ground and some boulders and a broken fence, but Maya crashed on me before I could save it. The first image is an early screenshot of that first garden.